Treat yourself to a cruise around the local waters whilst enjoying superb Entertainment, Music & Dancing. The best spot to dance your stress away in Ayia Napa is on the Fantasy Boat . Join our Multi- National “like minded individuals” looking for a great time! Our Fantasy Boat departs from Ayia Napa Harbour and cruises the Mediterranean coastline. This 4-hour cruise will be the most exciting 4 hours you get to spend in Ayia Napa. You will never want to step foot on dry land again. Dancing to the biggest tunes in the sunshine, looking out at sea. 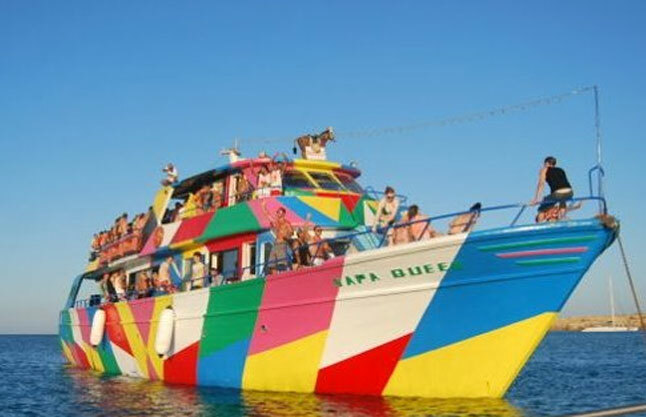 If you thought last years Fantasy Boat was insane, then get ready to have your mind blown. We’re doing it all over again!! !